Consecutive interpreting offers a different kind of service where the interpreter waits for a plausible delay in speaking before arranging a swift interpretation. Therefore, there is a little extra time to think about the whole meaning of the speech. 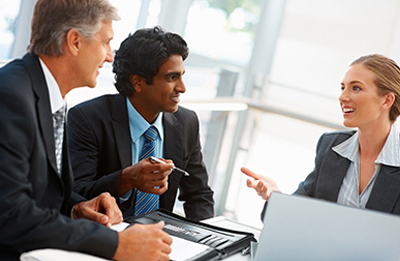 The great advantage in this service is interpreters become increasingly familiar with all kinds of environments and speaking topics, from factories to formal meetings or even cocktail parties. Your consecutive interpreter can follow you to the site of your business, even social settings, to allow you to converse freely; the international language barrier will all but disappear. Simultaneous translation service is a highly specialized area of translation where the translator interprets or translates for someone in another language fluently without any interruption. Simultaneous Translators have large roles to play in large conferences, business meetings and environments where knowledge of multiple languages is required. Simultaneous Translation is much more complex than other translation services and needs trained simultaneous translators with multi-years of experience to perform it. What Our Simultaneous Translation Agency Provides? Turkish Translation Office is a renowned simultaneous translation agency working with top simultaneous translators throughout the globe. Whether it is a business meeting or an international conference, our agency serves you professionally and guarantees you 100% success. All our simultaneous translators work with very strong confidential agreement and professional code to ensure your business information remains safe with us. Our agency provides several methods of simultaneous translation depending on the nature of your business assignments, participants and budget. Our simultaneous translators offer best standards of professionalism, superb linguistic qualities and interpersonal skills to make sure that every business meeting or conference of yours will get full success. At Turkish Translation Office, our top priority is to ensure that your meeting should run smoothly and accomplish its objectives. For simultaneous translation service, Contact us here. 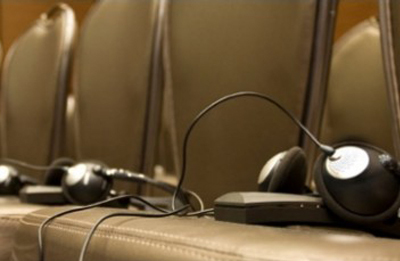 Turkish Translation Office (TTO) can also supply the rental of simultaneous interpretation and presentation equipment. We provide state of the art interpretation equipment rental services, along with our professional and expert technical staff who are experienced in the provision and organisation of interpretation services. TTO will be glad to cooperate with you as a company that on principle achieves customer satisfaction with its experienced technical staff who share the responsibility in service.